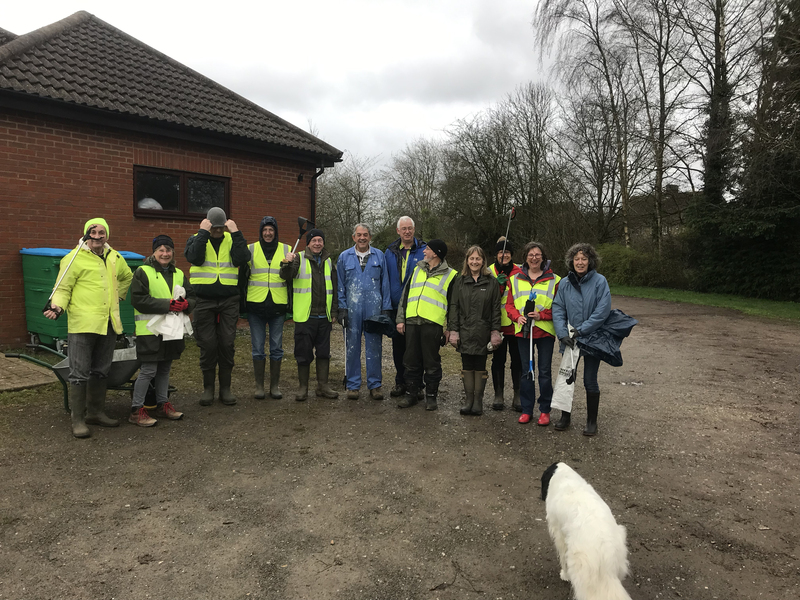 Such an amazing amount of rubbish and litter was collected this morning by twenty four fabulous villagers who gave up their Saturday morning to make sure our bit of Britain was nice and tidy. In what is becoming an annual enterprise, I think this year we picked up way more this year than last! 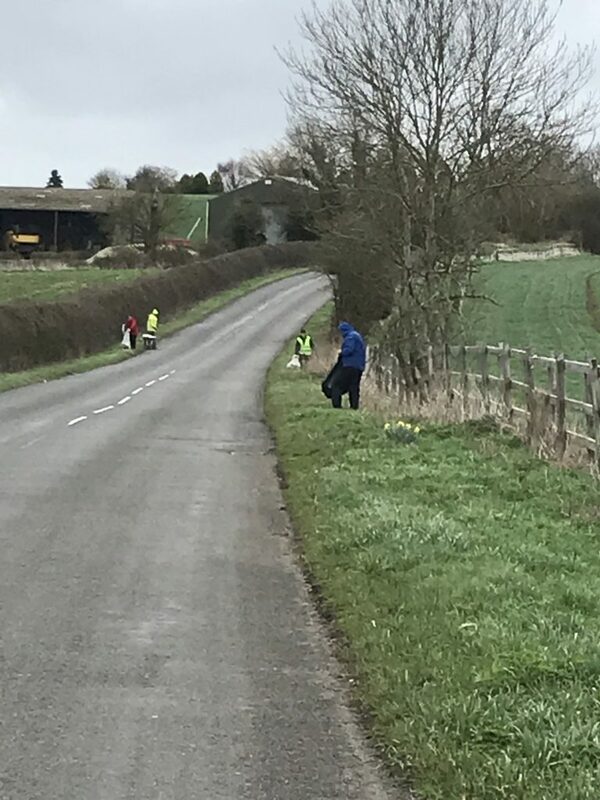 Some 50 bags of rubbish, the majority appearing to be cans of alcohol thrown into the verge from cars speeding out of the village. 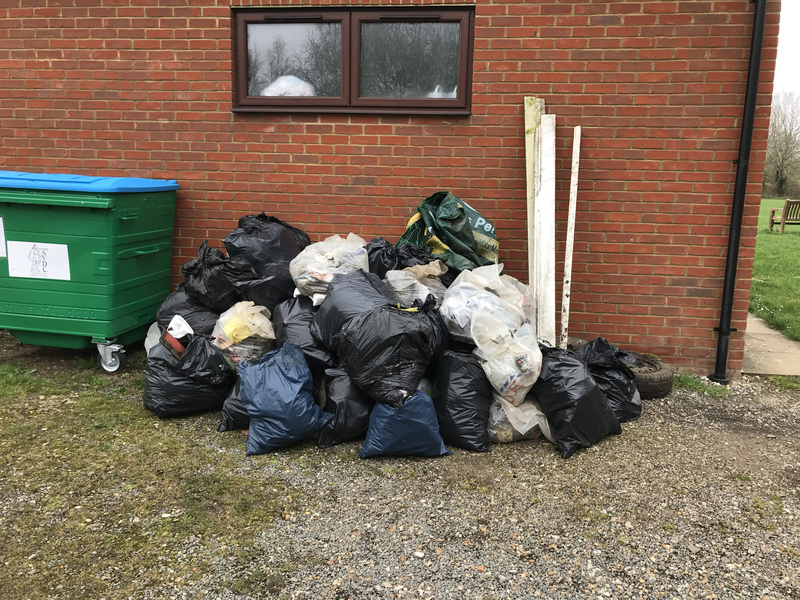 Numerous tyres, a gas cylinder, old chairs, brooms, skirting boards. Unbelievable behaviour! And all in the last 12 months. We also while we were at it, washed and cleaned all the village signs. So, huge thanks to the following for giving up your time and taking part. Your village salutes you. apologies if I have missed anyone.. but I don’t think I have! Also a huge special thanks to Dominic for the sausage rolls / doughnuts he dropped off. Most welcome. PS not everyone had arrived in time for the photo below!